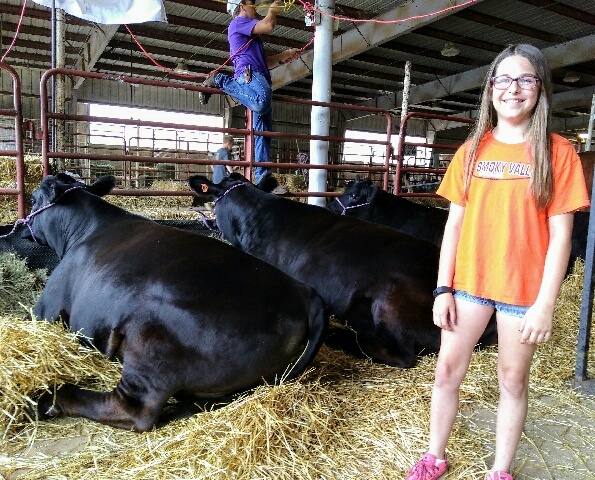 Dozens of 4-H members were putting the final touches on their projects or scrubbing up livestock ahead of Thursday’s judging at the 2018 Tri-Rivers Fair in Salina. 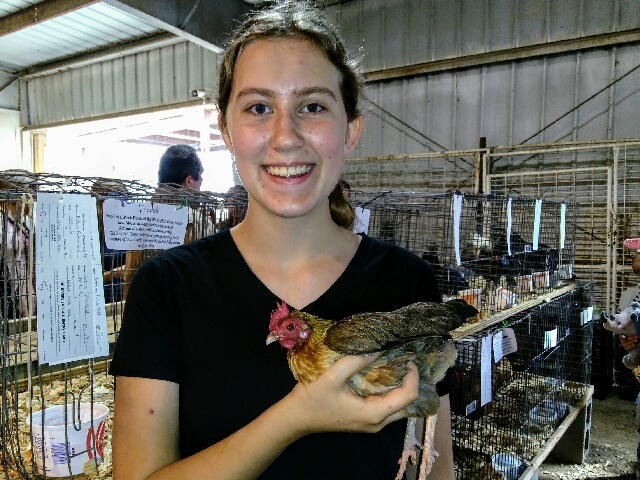 Heimer said his research revealed that running an agriculture operation is the sixth most dangerous occupation in America. “Over 400 people died in 2016 in farming accidents around the U.S.,” he said. Kirk’s table top model of a farm, shows several scenarios of what can go wrong if precautions are not taken. 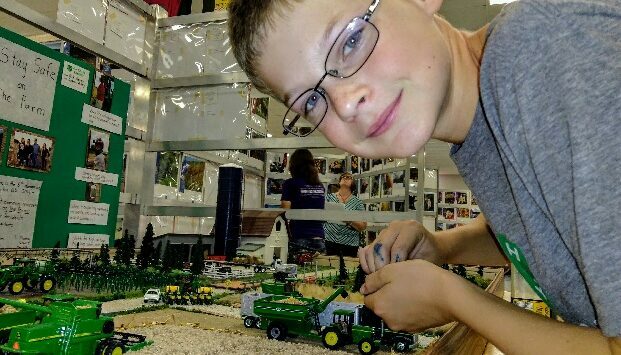 “Never play in a grain cart,” he said pointing to a small figurine who is neck deep in corn piled high in a model grain cart. 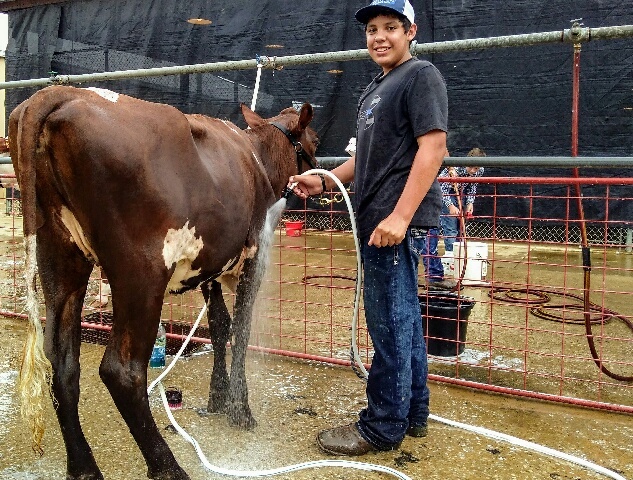 Kirk, who attends Southeast of Saline Middle School lives on his family’s farm helping his parents, Doug and Becky raise row crops and 300 head of cattle. 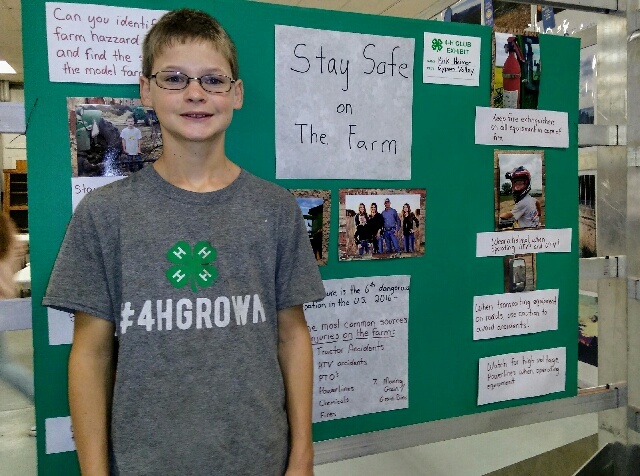 Exhibits are open in the 4-H Building from 7:30am to 9pm.